Coming Soon: Game Update 1.9995! Greetings, Commanders! We've listened to all of your feedback on the recent updates, and some important changes based on this will be coming in our next patch. 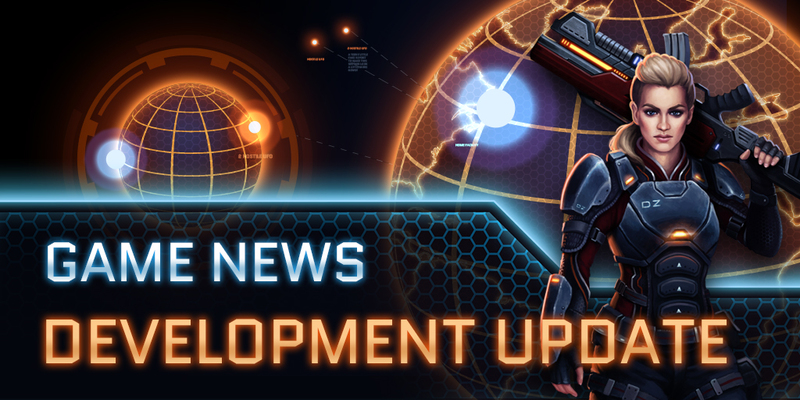 We're expecting the update to go live next week. Here are the changes that will be coming in update 1.9995! Re-added Caches as rewards for defeated Alien tiles. These are now percentage based but also now include level 4 Alien sectors. Objectives have been added for all existing structures which could previously reach level 25. The maximum level of both the Engineering Bay and the Turrets have been increased to 25. The Raid Resources Challenge has been replaced with a new challenge type. A Discord button has been added to the game. Opening a bundle of items now correctly updates the counts in your inventory. Fixed a display issue on devices where the aspect ratio was 2:1 or greater. Opening stacks of caches now correctly update the player’s inventory. Fixed an issue where text on Android chat would be incorrectly displayed as white. Thank you all for your feedback, patience and support in the game! We really appreciate it and will continue to take all of your comments on-board. what about implanting a rule which would prevent a player attacking someone much smaller ? (to attack the level difference must be less than 5 and no more than 50% power difference). Exception for inactive players (or players without an alliance), which could be attacked by everybody. Will we be required to upgrade these to upgrade the HQ? You seem to have forgotten about the compensation that was promised from the previous update disaster ??? They fixed it sothat a commander from your alliance sending backup troops have them acting at your level. Now, the big boys can just steamroll the smaller players, and, the "join an alliance for protection"... just doesn't work. "spend more money"... yah, 10K USD? no.